With all the bells and whistles available on today's strollers, one wonders how they can be called "traditional." Regardless, strollers that fit into this category are designed for everyday use. Most of these strollers are fully reclining with leg holes that close, and can accommodate children from infants to toddlers. They are often mid-weight, and can come with such accessories such as five-point harnesses, cup holders, and trays. Several models even have air-filled tires for a smoother ride. Some very versatile and convenient traditional strollers allow you to attach infant car seats to them. When the child outgrows this option, it can be converted back into a regular stroller. The stroller shown at right has an aluminum frame and eight wheels; it is rugged enough to carry a baby and quite an assortment of baby gear! Jogging strollers can be identified by their three-wheel design, but take heed. 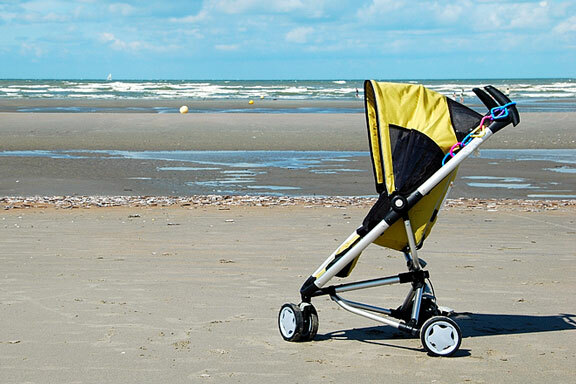 Despite the design, some of these strollers are meant for walking over smooth terrain only. So, how to determine if your jogging stroller will cut it? Take a look at the wheels. Jogging strollers with 20-inch wheels are able to handle rough terrain such as dirt roads, off-road trails, bumps, and curbs. Strollers with smaller, 12-inch wheels are generally best suited for brisk walking on smoother surfaces, such as paved roads and sidewalks. What are the wheels made of? If you are planning on using your jogger in bad weather or in humid, snowy, or coastal climates, look for designs with alloy wheels. Alloy wheels are not only lighter than steel wheels, they resist rust. Some jogging strollers do have reclining seats. However, it's still a good idea to accessorize the interior with a seat insert or neck roll. This is absolutely necessary for younger infants who can't hold themselves up yet, and is also a good way to go for toddlers who like to sleep while you jog. They will be more comfortable, and as a result you'll have a more enjoyable outing! 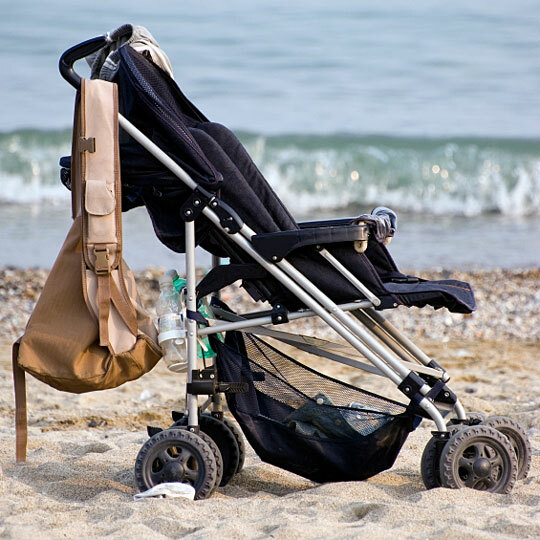 If you travel a lot or are a city dweller whose stroller is more or less an accessory of basic life, a lightweight stroller may be the perfect choice for you. Lightweight strollers are smaller, lighter, and easier to maneuver than more traditional strollers. They are often made of aluminum instead of steel, and are easier to push and transport. Lightweight strollers, like the one shown here, are designed to fold compactly and quickly, and often use a one-hand release for folding. 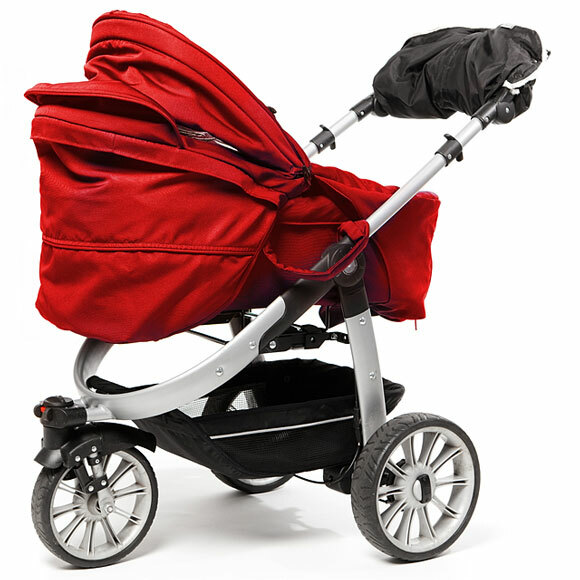 For more information about strollers (including stroller ratings and reviews), visit this Consumer Reports - Strollers page. BabyStrollers.us is a Chosen Sites information source.